Here’s a back-to-school gift for high school bands in a competitive mood. 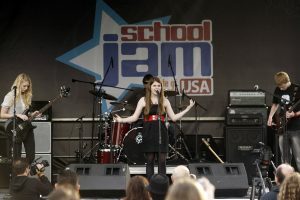 The third annual SchoolJam USA program – sponsored by the non-for-profit National Association of Music Merchants (NAMM) — will award more than $50,000 in cash and prizes to teen bands and their local school music programs. The purpose of the competition is to highlight quality teenage musical talent, gather together students in support of music and the arts, provide funding for school music programs and promote active participation in school music programs. Unsigned teenage musicians 13 to 19 who are registered in a U.S. middle or high school are eligible to participate. Deadline to apply is coming up fast: Oct. 21, 2011. Bands may perform any style of music, but the song must be original – or designated as “public domain.” Go the official website to read the rules and regulations for the competition and find out how to apply. 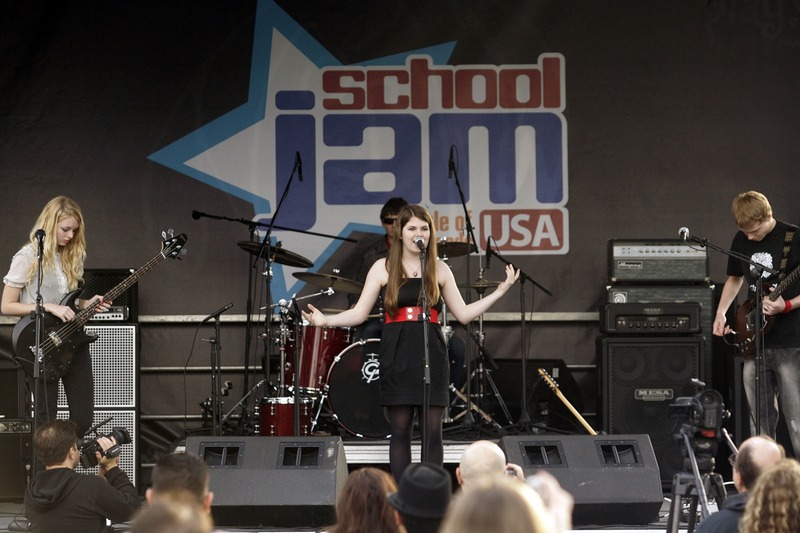 Beginning Nov. 1, participating bands and their submissions will be posted on the SchoolJam USA website, where the public can vote on its favorite songs/bands. Eight finalist bands will be chosen by public vote and by a panel of musical professionals. The public voting period ends Nov. 30. The winning band will receive the grand prize – a trip to perform at the original SchoolJam festival in Frankfurt, Germany — as well as a private music video recording session on the John Lennon Educational Bus, $1,000 toward the purchase of new gear and $5,000 for the band’s school music programs. SchoolJam was originally developed by MM MusikMedia Germany to promote popular and rock music in schools throughout Germany. NAMM is the sponsor of the Wanna Play? campaign, a public-awareness initiative expose more people to the benefits of playing music. For more information about Wanna Play? visit the website. For more information about NAMM, follow this link.